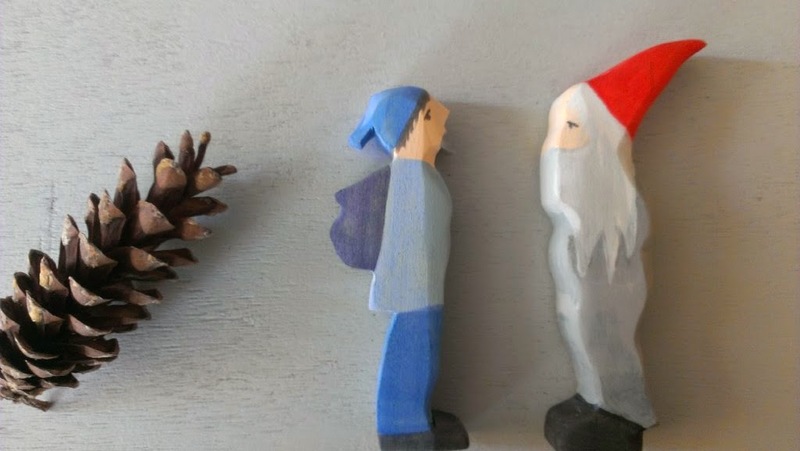 and a resourceful forest gnome and jack frost … who have just appeared from deep in the woods to make their way to wintry places in the southern hemisphere…. and mr acorn who also joins he’s family after his long day at work …. Your wooden figures are just delightful! They are so beautiful. We love the Children of the Forest – what a wonderful set this would be to invite play after reading the book. oooh, i really like the mr. acorn. Also, I scrolled back a bit and saw your pottery bowls. Nice job! They look great, and it's so lovely to use something handmade for daily use isn't it?